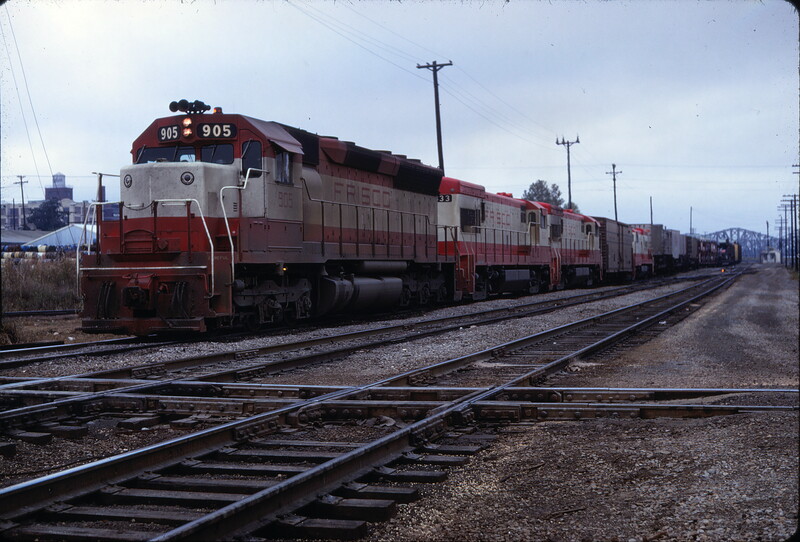 SD45 905 (location unknown) on November 16, 1968. This entry was posted in Slides and tagged 905, Electro-Motive Division, SD45. Bookmark the permalink. Possibly Memphis, TN, judging from the bridge in the background?